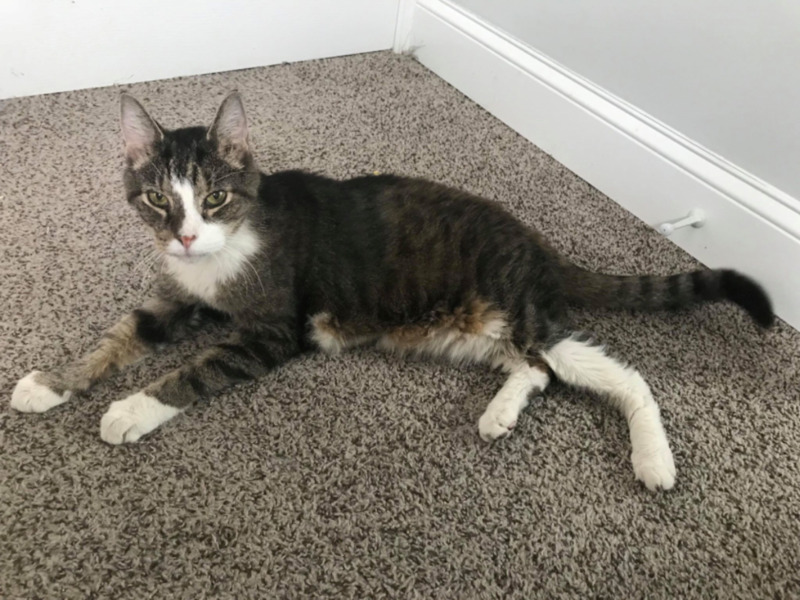 The elderly cat, named Thomas, was surrendered to the Baltimore County Animal Shelter in Baldwin last month after its owner was no longer able to take care of the animal. The poor old man being surrendered to a shelter at that age usually means he'll end up staying there until he crosses the rainbow bridge. But Laura Cassiday of Animal Allies Rescue Foundation (AARF) wasn't going to let that happen. "Pretty much when I saw '26' I knew there was no way I was leaving him there," Cassiday told Fox News. "I coordinated with AARF and picked him up on Thursday." Cassiday, a volunteer with The Feline Rescue Association and the Maryland Society for the Prevention of Cruelty to Animals (SPCA), said Thomas has joined her beloved family, bringing her cat total to seven. The AARF considered putting Thomas up for adoption, but Cassiday said that the 26-year-old "deserves some stability at this point" and will be a part of her family "for the rest of his days." According to the shelter, Thomas has severe dental disease, arthritis, hyperthyroidism and an abnormal liver. A veterinarian also found that the elderly cat has a mass that could possibly be a tumor. "We honestly have no idea how much longer he even has," Cassiday said. However, he's "otherwise in fairly decent shape for an old man." Most prospective pet owners who stroll into shelters are looking for a younger animal, one that a family could keep around for a while, Cassiday told Fox News. "Pretty much every day at work I hear, 'Where are the puppies, kittens?'" she said. The older animals, who often have medical issues, are looked over "in favor of cuter, younger ones." Those looking to adopt pets, Cassiday says, should "take a chance" on the animals you wouldn't expect yourself to adopt. "The shy ones, the old ones, the ones that hide in the back of their cages, the ones that just don't stand out," Cassiday notes, are "the ones that need you the most and have just as much love to give as any other pet." Thomas is already enjoying his new home and is very grateful that somebody took a chance on an old man like him.